About six months ago I bought a Seagate FreeAgent Go 160 GB USB External Hard Drive from the evil empire™. As far as hard drives go, well, it’s big and it stores data. So in that regard it performs perfectly. It also has a soothing amber glow that pulses while it’s spinning, which is very nice. The problem with this thing is the software. It’s two sacks of rotten apples bad. And, based on the 1994-esque, we-hate-our-visitors Seagate website, it’s not going to get any better. The problem with this thing is the software. It’s two sacks of rotten apples bad. I’ve been returning to the site every few weeks, hoping that they’ll release some sort of upgrade or patch, but no. The software that’s bundled with the drive is the FreeAgent Launcher. Like almost all new software, it lives in the systray. To kill it, you have to right-click on it, choose exit, and then confirm when it asks, “Are you sure you want to exit?” (This annoys the hell out of me. If you insist on treating me like I might be slightly retarded — Why would I click “exit” if I wasn’t sure? — then at least give me an option to not have to confirm next time.) In a fit of desperation I installed the software for one of Seagate’s other drives. The other software is Drive Manager or something like that. It also lives in the system tray. Get this, though: To kill that one, you have to left-click and do the “Are you sure?” dance. Why would Seagate make one work via right-click and the other work via left-click?! The FreeAgent Launcher software gives you the option to be running all the time, silently and unobtrusively keeping the drive synchronized with your computer’s hard drive. That’s cool. It’s actually quite amazing. It even keeps your Outlook pst file synched without having to close Outlook, which is pretty bitchin’. Unfortunately you are screwed if you don’t have it connected all the time. I leave my FreeAgent at home. So when I undock my computer at the office and go home, it insists on restoring any files I’ve deleted while I’m work, assuming, I guess, that I accidentally deleted them. This wouldn’t be all that bad, except it doesn’t give you an option to disable that. If it hits any snags while it’s doing its archiving or restoring, it just throws everything into the root folder. So every time I open the drive in Windows Explorer, I find dozens of random, empty folders in root. Again, this is not horrible, but it makes it hard to have faith in the drive’s archiving smarts if it can’t keep its folder structure organized logically. If I am going to depend on this thing to keep back ups of all my important data, it needs to make me trust it completely. You can set it to archive manually, but then you have to … y’know … remember to archive stuff. This, too, wouldn’t be terrible except for one thing: When you do it manually it asks you if you’re sure about every file gong both ways. 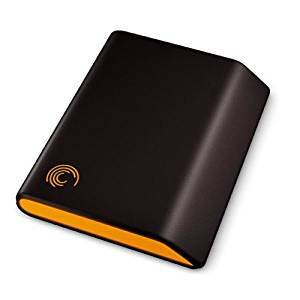 Are you sure you want to replace the file on your external drive with the one on your computer’s drive? Are you sure you want to replace the file on your computer’s drive with the one on the external drive? You deleted this file from your hard drive, do you want to restore it from the external drive? You deleted this file from your external drive, do you want to restore it from your hard drive? And hitting “Yes to All” every time — again — just doesn’t instill confidence. I live my life working with computers, and I haven’t been able to Google any really good external drive backup software. There’s Cobian, but that’s not exactly something that any Joe Shmoe could get working easily. I’m sure I will find something I like eventually, but what hope does someone like my mom have? She doesn’t have the time, patience, or technical skill to deal with all sorts of confusing archiving software. Someone needs to create a simple solution here. The field’s wide open, kids. You mean like Time Machine or Time Capsule? Oh, you mean for the people that are still stuck in other OSes..